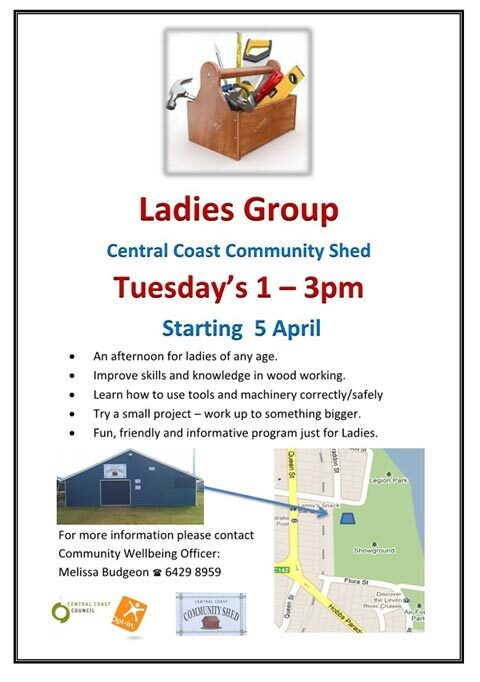 The Central Coast Community Shed operates a Men’s Shed program on Mondays, Wednesdays and Fridays from 9.00am to 1.00pm. Contact the Men’s Shed group on tel. 0417 038 366 or, for Community Shed enquiries, contact the Council’s Community Wellbeing Officer, Melissa Budgeon on tel. 03 6429 8959 or 0458 407 872.